Rafale Deal: The pricing details - one of the most controversial aspects of the deal -- would not be debated unless the judges think it should be in public domain, the court said. Rafale Deal: The government has sealed a Rs. 59,000-crore deal for 36 Rafale jets with Dassault. In a major relief for the government, the Supreme Court said today that there is no reason for the court to sit in judgement on the correctness of the Rafale jet deal, and ruled that "perception by individuals cannot be the subject of roving inquiry" by the court. "We can't sit in judgement over the wisdom of purchase of aircraft," said the three-judge bench headed by Chief Justice Ranjan Gogoi, adding, "Our country cannot be allowed to be underprepared." Petitions demanding a court-monitored investigation into the deal were filed after the Congress took up the issue on a war footing, accusing Prime Minister Narendra Modi and his government of corruption and crony capitalism. The Congress has demanded that the pricing details of the planes be made public - a demand the government has rejected citing a secrecy clause in the deal. Petitions demanding a court-monitored investigation into the deal were filed as the Congress and other opposition parties went hammer-and-tongs at Prime Minister Narendra Modi and his government, accusing it of crony capitalism. 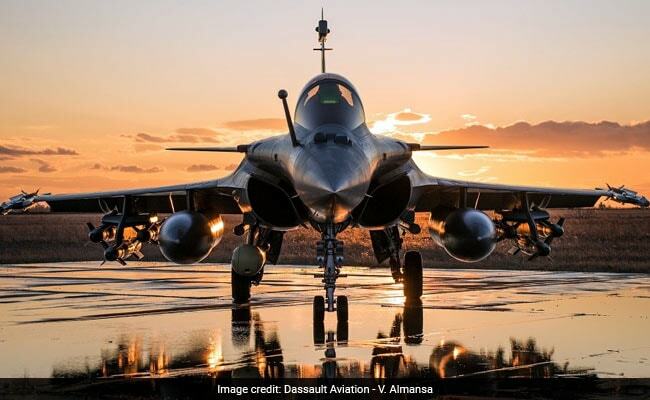 The Congress has alleged that the Centre scrapped a deal for 126 Rafale jets negotiated by the previous UPA government and entered an expensive new contract just to help Anil Ambani's defence company bag an offset partnership with the jet manufacturer Dassault. 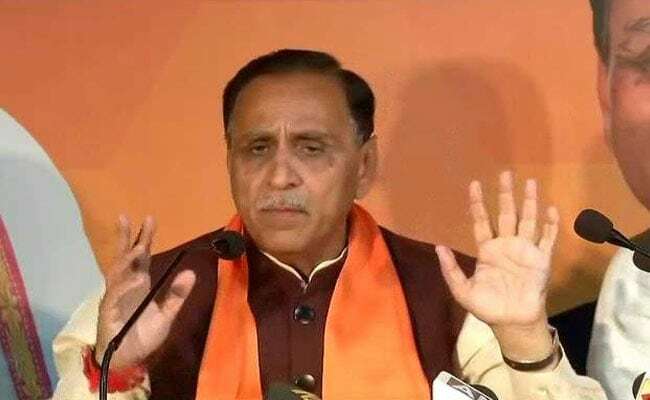 Gujarat Chief Minister Vijay Rupani Friday said the Supreme Court ruling on Rafale deal has enhanced Modi government's "clean image" globally. Maharashtra Chief Minister Devendra Fadnavis Friday hailed the Supreme Court verdict on the procurement of Rafale fighter jets and demanded that Congress president Rahul Gandhi apologise to the nation and Prime Minister Narendra Modi, according to Press Trust of India. 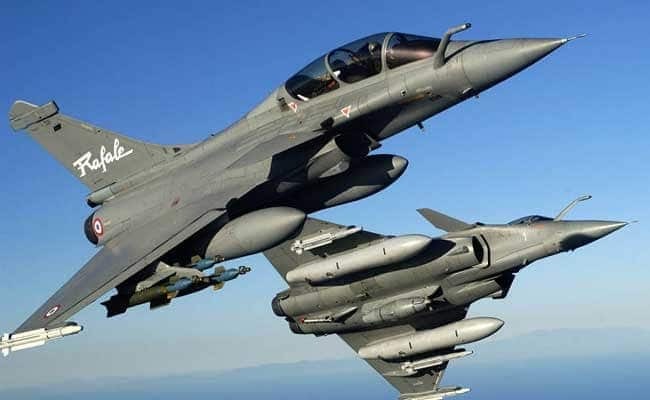 In its verdict Friday, a Supreme Court bench headed by Chief Justice Ranjan Gogoi said there is no occasion to doubt the decision-making process in the procurement of 36 Rafale jets from France, according to PTI. Uttar Pradesh Chief Minister Yogi Adityanath Friday welcomed the Supreme Court's decision dismissing petitions for a probe into the Rafale jet deal and sought an apology from the Congress, according to news agency PTI. At a hurriedly convened press conference at his residence here, the chief minister cited the verdict while demanding an unconditional apology from the Congress for spreading "false propaganda" against the BJP and the central government. "The false propaganda of the Congress has come to the fore with the verdict of the apex court," Yogi Adityanath remarked, quoted by PTI and charged the party with defaming the central government and the BJP for political mileage. "Rahul Gandhi should tell his source of information. With baseless allegations, he tried to play with the security of the country," he said. "The Congress should have acted responsibly on the issue of security," Yogi Adityanath said. Finance Minster Arun Jaitley Friday dubbed allegations on the Rafale jet deal as "fiction writing" that compromised national security, after the Supreme Court dismissed the pleas challenging the deal between India and France for procurement of 36 Rafale jets, according to news agency Press Trust of India. 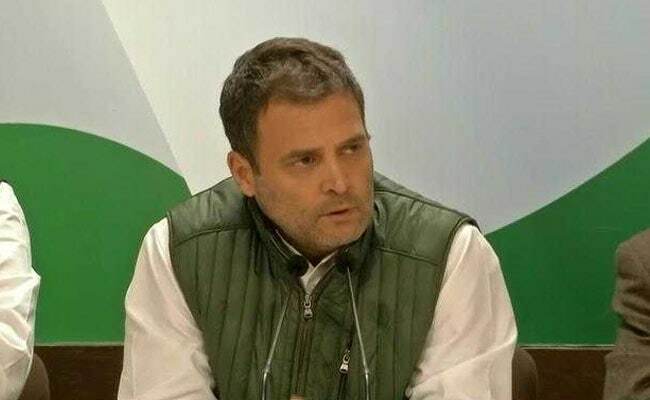 In an apparent attack on Congress President Rahul Gandhi, who has been alleging corruption in the purchase of the fighter jets, Mr Jaitley said "disrupters" have lost on all counts and those who manufactured falsehood compromised the security of the country, according to PTI. Falsehood is bound to fall apart and it has, Mr Jaitley said, adding that if honest deals are questioned, then civil servants and armed forces will think twice before undertaking such a process in future. Hours after the Supreme Court dismissed petitions seeking a court-monitored probe into the purchase of 36 Rafale jet fighters, the Aam Aadmi Party (AAP) on Friday demanded a Joint Parliamentary Committee (JPC) to probe the deal and a detailed discussion in parliament, according to news agency IANS. Senior AAP leader and MP Sanjay Singh said the court had refused clearly to interfere in many of the matters related to the deal, including the question of pricing and choice of offset Indian partner, according to IANS. "A JPC should be formed for a detailed probe in the deal as to how the per jet cost reached Rs 1,670 crore from the earlier Rs 540 crore and why they (BJP) preferred a private firm over a government firm," MR Singh told media, quoted by IANS. Mr Singh added: "If the BJP thinks the court has given a clean chit to it, then it should not be afraid of the JPC." The Congress claimed Friday the Supreme Court has vindicated its stand that the issue of "corruption" in the Rafale fighter jet agreement cannot be decided by it and challenged the Centre to constitute a JPC to probe the deal, according to news agency Press Trust of India. Congress chief spokesperson Randeep Surjewala said his party had said the top court cannot decide the Rafale issue and the alleged corruption in the defence contract can be brought out only by a Joint Parliamentary Committee. He said the only forum that can probe the deal after examining the pricing process and sovereign guarantee is the JPC, a PTI report said. Read Here: Rafale Verdict: Rahul Gandhi After Rafale Verdict: "Will Prove PM Helped Anil Ambani"
Hours after the Supreme Court's clean chit to the government on the Rafale deal, Rahul Gandhi raised questions about the basis of the court's decision and declared: "Chowkidar chor hai! PM Modi you can hide and run, you won't be saved. The day there is an inquiry it will come out...Narendra Modi, Anil Ambani. "Rahul Gandhi is going into technicalities," says Ravi Shankar Prasad. "I will go into substance," he said. "Its possible that PM Modi has chaired a PAC in his PMO. Hide wherever you want to, run where you want to," Rahul Gandhi launches a sharp attack on PM Modi after the Rafale verdict. The CAG report hasn't come before him, says PAC chairman and Congress leader Mallikarjun Kharge. The pricing details have been shared by CAG. The report of CAG has been examined by the Public Accounts Committee. How can costing be a secret, asks Rahul Gandhi. It is the taxpayer's money. PM doesn't hold press conferences. PM doesn't want to expose himself in front of the people. The first is, why was the contract stolen from HAL and given to Anil Ambani? Why did you take jobs from Indian youth? We're presenting a case to the people. Defence minister Sitharaman first says price is not a secret, then she says its a secret. The price is clearly written in Dassault brochure, Rs 1,600 crore. 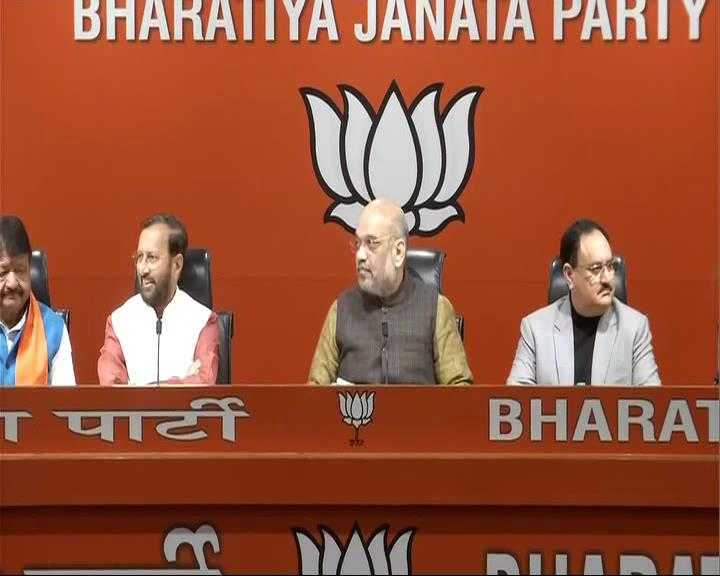 Rafale Deal: Read Here: After Rafale Deal Verdict, BJP Chief Amit Shah Targets Congress President Rahul Gandhi: Who Is Your Source? 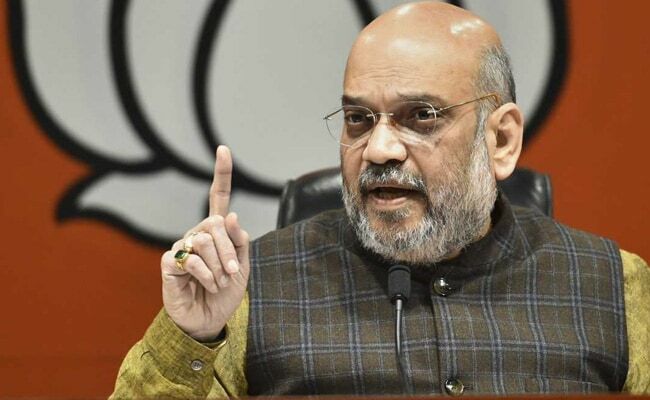 BJP president Amit Shah today claimed that the top court's verdict has only served to vindicate the Union government's stand that there was no corruption or nepotism in the case. He also demanded that Congress chief Rahul Gandhiapologise to the nationfor raising "childish allegations" against the Narendra Modi government, and disclose his source of information on the matter. 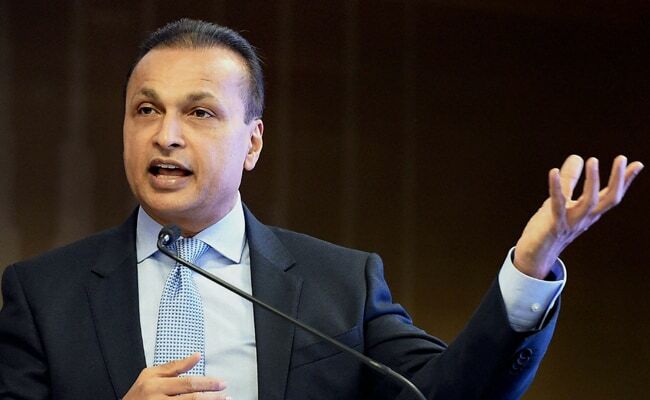 Reliance Group Chairman Anil Ambani welcomed the Supreme Court's judgement on the Rafale jet deal. The top court said there is no reason for the court to sit in judgement on the correctness of the Rs. 59,000-crore deal for 36 fighter jets. Allegations that the government had helped Anil Ambani's Reliance Defencebag the offset contract were also dismissed by the court, which said: "There is no evidence of commercial favouritism." The judges asserted that "perception by individuals cannot be the subject of roving inquiry" by the court. After the Supreme Court's massive validation for the government in the Rafale fighter jet deal, Finance Minister Arun Jaitley today called the allegations by the Congress "fiction writing that was compromising national security". In defence matters, where judiciary has taken a decision, no scope for political institutions to probe Rafale, says Arun Jaitley. Arun Jaitley says former BJP leaders Arun Shourie, Yashwant Sinha, who have petitions in court, have been given answers by the Supreme Court's Rafale verdict. Arun Jaitley says all the figures the government has given are correct. He said that the simple aircraft is 9 per cent cheaper as per 2016 prices. Weaponised aircraft is 20 per cent cheaper. On being asked whether Congress will get a Joint Parliamentary Committee on the Rafale deal, Arun Jaitley says that "the deaf will never receive an answer. They can't hear it." "After consultation with Air Force, the number 36 was arrived at. The number was in relation to two squadrons," Nirmala Sitharaman tells NDTV. "As far as how many meetings took place, it is on the public domain," Ms Sitharaman said. Arun Jaitley says "those who manufactured falsehoods have hurt national interest." Arun Jaitley says that judicial review has its limitations, adding that the centre can't reveal cost details keeping national security in view. "We, under the Rafale deal, made sure of being mindful of both national security and commercial security." Arun Jaitley alleged that under the UPA government, national security was "compromised in 2012". He said that it was "fiction writing" under the UPA and that they didn't have special teams to oversee the different aspects of the Rafale deal. He says that the Supreme Court is satisfied with all the specifics of the Rafale Deal under the current BJP-led government. 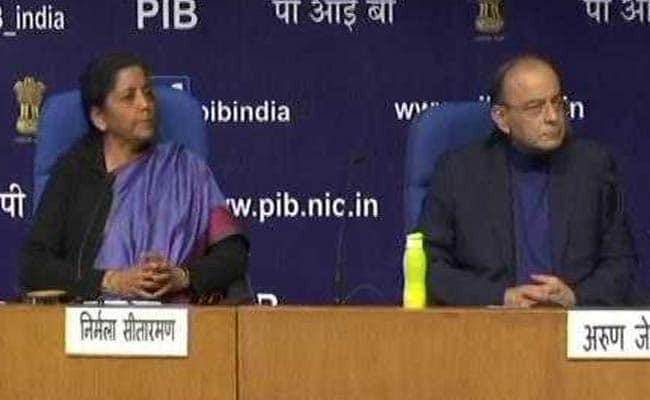 Rafale Verdict: Arun Jaitley says "Disruptors have lost"
After Nirmala Sitharaman, Arun Jaitley is speaking on the Rafale deal. He said that "there has always been a fundamental difference between truth and falsehoods." "Truth always hold together, falsehoods have a short life. In this case, it was a few months," he added. "The Rafale issue has all of these features. The disruptor has lost," said Arun Jaitley. "They have lost on all counts," he added. Rafale Verdict: Nirmala Sitharaman says the matter of Rafale deal has "been laid to rest"
Nirmala Sitharaman, reacting to the Supreme Court's verdict on there being no need for a probe into the Rafale deal, quoting on the judgement, said that India cannot afford to be underprepared. She said that the matter following the Supreme Court verdict, has "been laid to rest". Goa Chief Minister Manohar Parrikar Friday welcomed the Supreme Court's clean chit to the Narendra Modi government in procurement of 36 Rafale fighter jets from France, according to news agency Press Trust of India. "Satyamev Jayate (truth alone triumphs)," tweeted Parrikar who was Defence Minister when the Indian and French governments signed an agreement to purchase the planes from Dassault. The Supreme Court today said there was no occasion to doubt the decision-making process in the multi-billion dollar Rafale deal for 36 fighter jets. A bench headed by Chief Justice Ranjan Gogoi said there has been a necessity of fighter aircraft and the country cannot remain without these jets. The Chief Justice, who read out the judgement for the three-judge bench, said no reasons were found to interfere in the procurement process for the fighter jets. The top court said it is not the job of the court to deal with the comparative details of the pricing." BSP president Mayawati called for fundamental reforms in all defence related procurements in order to address the doubts and common perception over such issues. "But it is essential that fundamental reforms need to be evolved in all defence related deals in order to address the doubts and perceptions among the common people," she said in a statement. "Congress President Rahul Gandhi tried to mislead people on Rafale deal for political benefit and maligned India's image globally. He should apologise to the people of the country," Home Minister Rajnath Singh. "Rahul Gandhi should come clean on his source of information, based on which he and his party levelled such baseless allegations." The court has also highlighted that while neighbouring countries have 4th and 5th generation fighter aircraft, India cannot have a weaker stand. The court concluded its verdict in the case by highlighting this. The court has also scrutinized the pricing issue in detail and given a clean chit on that front. Finally, the court has also said it categorically that there is no evidence of any favouritism in the deal... something that the Congress has been harping on. The Courts also made it clear that it does not give a verdict based on what news organisations have to say, nor does it come under pressure by the perception the media creates. It gives its verdict purely based on facts. 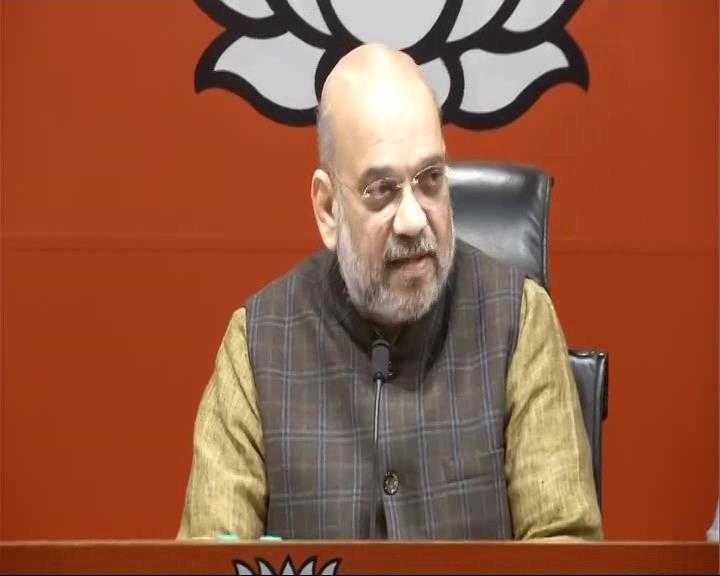 We hope this verdict will pave the way to ensure that the country does not stoop to such low levels of "politics of lies"
BJP President Amit Shah is addressing a press conference at the BJP headquarters on the court judgement. Congress leader Shashi Tharoor said that his party will continue to raise the Rafale issue despite the court order. "We are looking at inspection of accounts and negotiations conducted in the Rafale deal. The Supreme Court didn't consider that their business to do it," he said. Mr Tharoor said that a Joint Parliamentary Committee (JPC) should be set up to look into the allegations raised by his party. "We will continue to push for joint parliamentary committee. The BJP also asked for JPC despite verdict on 2G," he said. Reliance Group Chairman Anil Ambani welcomed the Supreme Court's judgement. "I welcome the judgment of the Hon'ble Supreme Court today summarily dismissing all PILs filed on the Rafale contracts, and conclusively establishing the complete falsity of the wild, baseless and politically motivated allegations levelled against Reliance Group and me personally. We remain committed to India's national security and to making our humble contribution towards the Make in India and Skill India policies of the Government in the critical area of defence, including our offset partnership agreement with our valued partner, Dassault Aviation of France." 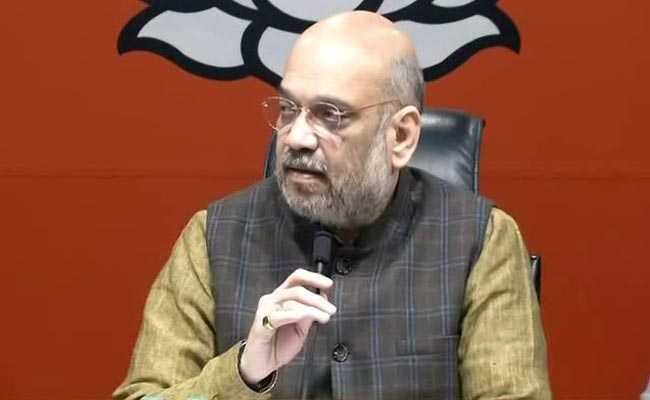 BJP President Amit Shah said that the judgement "exposed" the misinformation spearheaded by Congress President Rahul Gandhi. "Truth always triumphs! Court's judgment on the Rafale deal exposes the campaign of misinformation spearheaded by Congress President for political gains. The court didn't find anything wrong with the process nor did it find any commercial favouritism in the deal," he tweeted with #SCNailsRaGaLies hashtag. On the contrary SC held that govt had no role in selecting offset partners & found no merit in the demand for a probe based on mere perception of individuals. It therefore raises obvious questions on the motive of those working to discredit the deal, which is important for India. Soon after the Supreme Court decision BJP demanded an apology from the Congress and its president Rahul Gandhi for levying allegations against Prime Minister Narendra Modi in the Rafale fighter jet deal, in which the Supreme Court has given the government a clean chit. Welcoming the judgement, BJP spokesperson Shahnawaz Hussain said,"Every deal is not Bofors deal." "It is the culture and tradition of Congress and its top leadership to mint money from such deals on the cost of country's national security," he said. Prashant Bhushan, who is one of the petitioners in the case, said that he did not agree with the court decision. "The Supreme Court has said that the information they have at the moment, based on that, there is no requirement for an investigation. On pricing too, the Supreme Court said, that the price was decided by Dassault Aviation - a private company, not the government; Hence there is no need for getting into that," he said. Mr Bhushan went on to say that he still believes his demand for an investigation is justified. Can't see how #RafaleDeal remains an election issue after this. Now let's get back to Rajasthan & Chhattisgarh. Not the job of this court to go into issues of pricing, Supreme Court. A three-judge bench, headed by Chief Justice of India Ranjan Gogoi, is expected to pronounce verdict on whether a court-monitored CBI probe is required to probe the Rafale deal.